L'Appart is set to become the largest chain of privately owned clubs in France, while health club associations in Europe push to remove VAT fees from membership costs. The industry is booming in Europe, with the expansion of l’Appart Fitness in France, the formation of a partnership between IHRSA and Fitness Network Italia, and a deeper look into VAT taxes on gym memberships. L’Appart Fitness, the French chain created 10 years ago by Patrick Mazerot, proceeded this summer with the acquisition of French mid-range clubs Amazonia, Wide Club, and Gigagym. Thanks to a second successful wave of private funding, l’Appart Fitness aims to become “France’s leading midmarket chain leader,” according to Patrick Mazerot, CEO and founder of the Lyon-based chain. 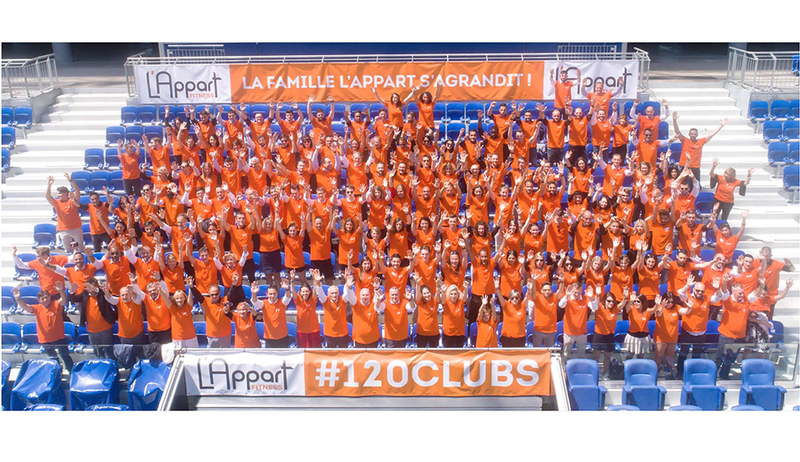 The acquisition allows l’Appart Fitness to reach 120 clubs, of which 54 will be owned and 66 franchised. It allows l’Appart Fitness not only to enter the top 5 operators in France by clubs, but also to become the largest chain of privately owned clubs. France has become, in recent years, a heavily franchised market with national brands such as l’Orange Bleue, Keep Cool as well as Dutch-based company Basic-Fit. L’Appart Fitness is banking on this recent acquisition to further develop its concept of “chic and cozy” clubs, accessible to all, with a special focus on group and individual training provided by professional coaches. L’Appart Fitness aims to hire over 100 professional coaches and sales people over the next 12-18 months to meet this expansion. Fitness Network Italia, the largest national network of multibrand fitness centers in Italy, has become the latest partner of IHRSA, a press release announced April 24. With almost 100 clubs in 12 Italian regions, Fitness Network Italia, which was created in early 2017, is becoming a growing partner in the Italian fitness market. It already hosted its first fitness convention on board a cruise ship between Rome, Italy, and Barcelona, Spain, which attracted a huge number of fitness professionals and club's owners. Fitness Network Italia eyes to add another 80 clubs to its network before the end of the year. VAT-free Membership in Europe: Who Is Next? The subject of VAT on gym membership fees has been on the agenda of many fitness associations in Europe for many years. While all European countries apply VAT on commercial gym memberships (with the exception of Norway), a number of countries are fighting hard to reverse this trend. In June, Humphrey Cobbold, CEO of the U.K.’s biggest chain Pure Gym, called for the government to remove VAT from gym memberships to improve the nation's health after a British study, commissioned by the British Lung Foundation, found that almost one in four British people never exercise. This call is being followed by other leading fitness association such as AGAP-Portugal Activo, Portugal’s fitness association, which since 2011 is dealing with an upsurge in VAT rate from 6% to 23% today on gym memberships. In 2017, Portugal was the country in the European Union with the highest increase in average membership rate (7.2%). AGAP is set to launch in September an awareness campaign on the benefits of physical activity to bring more Portuguese to physical activity and make the country healthier. Florian Cartoux is director of the IHRSA European office in Brussels, Belgium. He's is in charge of growing IHRSA's membership in Europe, and attendance at IHRSA events. Being fluent in French, German, and English, Florian spends the best part of his time visiting the four corners of Europe meeting members and prospects. In his spare time, he tries to find time to play the drums, and be a good dad with his two daughters.